Tech Center: Miniand Tech its MiniX TV Box and Mini PC devices. Miniand Tech its MiniX TV Box and Mini PC devices. In the past we have covered some really interesting and cost effective mini computers and plug computer devices. Here is a list if you are interested. An Australia/China based company by the name "Miniand Tech" is selling two interesting mini computer devices. One is the MK802 Mini PC and the other is the MiniX TV Box H24 which can be rather compared to a TV box like Google TV. The MK802 Mini PC is a kind of plug computer with very small dimensions i.e. 88.5 x 35 x 13.4 mm weighs in at 300 grams. The device has 2 USB ports one Full size standard USB and the other seems to be a micro USB. The best part is the standard USB could be used to connect plug and play devices like a wireless mouse and keyboard. It runs on the latest Android 4.0 OS ans supports most application and features supported by a top notch Android 4.0 smartphone. Its powered by an External adapter 5V/2A output, 110-240V input. What that means you could even run it from an external battery if you get the right voltage and amps. Although i wont recommend you to do that if you don't know anything about electronics. At the heart of this device is the Allwinner A10 1.0GHz Cortex-A8 processor + a 500Hz GPU. It comes in two RAM sizes 512MB and 1GB DDR3. For storage it has 4 GB of Nand Flash memory, expandable upto 32GB via microSD card It also features WiFi. HDMI out to connect it to you large screen TV as well. 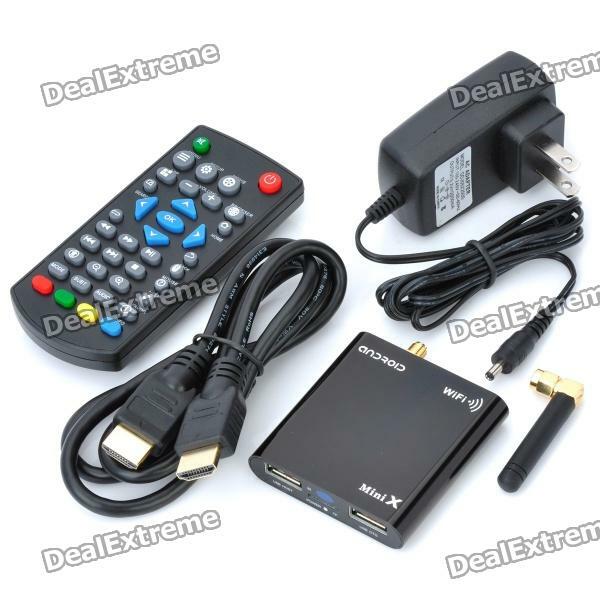 Now as the name suggests the device is a TV Box or rather a high end media player so to speak. It comes in a pretty cool looking casing with a WiFi antenna. 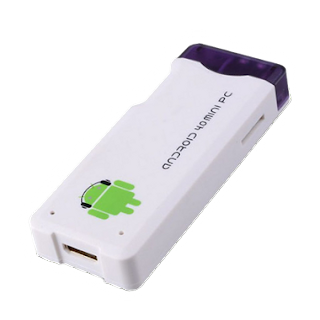 Just like the MK802 Mini PC, the TV box runs on the AllWinner A10 CPU, based on android 2.3 operating system, supporting Google Chrome browser, wireless networking access, USB OTG Interface, USB external hard disk, and single hand keyboard, mouse as well as easy like a normal remote control. The device ships with an ir remote control to operate the interface. Now this TV box runs on the Older version of Android i.e Gingerbread. out of the box. But I guess they it could be updated to the latest Android 4.0 OS. The interesting thing about the device is the interface is custom designed to work with the remote. The specification are pretty much similar to that of the MK802 Mini PC. Except for the fact that it is not available with 1GB of RAM it comes with a 512MB RAM option only. Even this device is capable to run the latest Linux distribution. All that said I think this seems to be a good device cause its a purpose specific device. Its available for $77.50 on dealextreme.com which seems a fair deal. Although on the official website it available for $99.